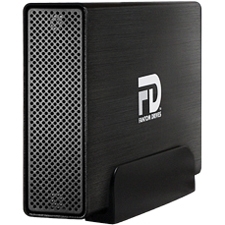 Fantom Drives Gforce3 USB 3.0/eSATA external hard drive is the latest and fastest member of the Gforce family. 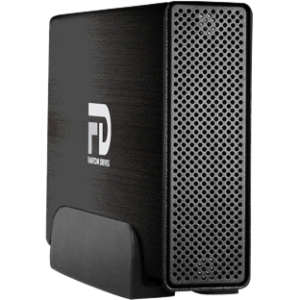 Quality & Durability The Gforce3 family of external hard drives feature a sturdy brushed black aluminum casing for maximum durability, a fan-free design for virtually silent operation and can be stored horizontally or vertically to optimize your work space. The Fantom Gforce3 offers reliable storage expansion from your limited built-in hard drive so you can store all of your valuable data and digital memories. 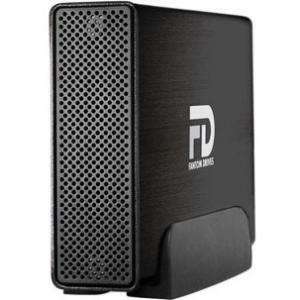 High Performance Transfers The Fantom Drives Gforce3 USB 3.0/eSATA hard drive is perfect for audio and video professionals and consumers alike. The Gforce3 offers plug & play simplicity as well as its rugged features providing optimal storage for all your photos, music, videos and documents in one convenient place. The USB 3.0 is backwards compatible with USB 2.0 and represents the pinnacle of host connectivity allowing transfer rates up to 10 times the rate of USB 2.0. The eSATA host connectivity allows fast transfer connection to all other host computers.